Wouldn't you smile if this sweetheart of a kid posted a photo of himself with white roses and one of them was for you? I did. I really, seriously did. 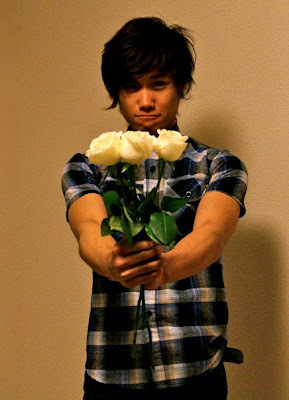 And I needed that reminder that I am worth posting a photo with white roses. Sweetness! kaintriga naman ito :) showbiz ba?